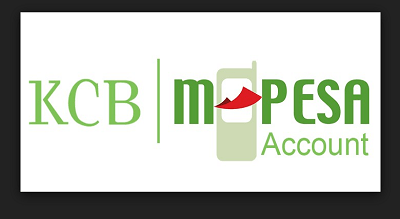 The KCB M-PESA account is a virtual mobile based bank account that is offered exclusively to M-PESA registered customers allowing them to borrow small loans between Kshs.50 and Kshs.1M depending on the customer’s credit scoring. It is also used as a savings account at highly competitive rates. Safaricom and KCB Bank are the companies that are behind this venture that allows their customers to save and borrow money at their convenience by simply using their phones. All frequent users of Safaricom services and existing KCB account holders will be allocated a loan limit upon opting into the KCB M-PESA Account. Not all customers are eligible for loans immediately. You will have to top up continuously until you achieve your target. Have an active safaricom M-pesa account for at least 6 months. Hold any of the following; Kenyan National ID, Kenyan passport, Alien ID, Diplomatic ID (Registered on IPRS), Military ID. Select the preferred time (1, 3or 6 months). Funds are then transferred to your KCB M-pesa Account net of facility fee. NB: you will receive a confirmation message from both the KCB M-pesa Account and M-pesa. KCB M-pesa loan does not require any security at all to apply. Your loan limit is the only factor considered as you borrow, making it perfect for urgent loans. This account is quite advantageous as it offers free deposit and withdrawal in a convenient and easy way through M-PESA. You are also issued with a loan limit immediately on opting in to the service of up to Kshs.1M. It is also available on the M-PESA menu and hence easily accessible using the M-PESA PIN. To be granted a loan no security is required. For loans requested for shorter periods, for example a month, the interest rate is very low. However there are some disadvantages when accessing loans through the KCB M-pesa Account. First, when one request a loan that requires a longer period before payment is due the interest rates are quite steep. Secondly, the larger the amount borrowed the larger the amount paid due the interest rate given. Lastly the first given loan limit is dependent on one’s usage of safaricom services and there is no clear way of determining one’s loan eligibility and loan limit. KCB M-pesa loan is recommendable for micro loans payable after short periods. If you borrow large loans payable after long periods then the interest rates are very high and it is advisable to seek other better suited institutions for such.